Dominic Vose scored twice as Wrexham secured a third straight win in the National League with victory against 10-man Gateshead. Gateshead were left a man down when Patrick McLaughlin was shown his second yellow card for a foul on Jon Nolan. Robbie Evans' header put Wrexham ahead before Blaine Hudson doubled the lead with a final touch from close-range. Vose's two goals sealed the win, the first a fine individual effort as Wrexham moved up to eighth. Wrexham's best win of the season took them to within two points off the play-off places. "I've been feeling a bit under the weather the last few days so that's cheered me up a bit. "It's nice to get another four goals and nice to get the clean sheet. It's a big three points for us. "Most teams up there have won again so it's important we stay with them and show that we're capable of staying with them." Match ends, Wrexham 4, Gateshead 0. Second Half ends, Wrexham 4, Gateshead 0. Foul by George Honeyman (Gateshead). Attempt missed. Sean Newton (Wrexham) left footed shot from outside the box misses to the left. Offside, Gateshead. George Honeyman tries a through ball, but George Honeyman is caught offside. Substitution, Gateshead. Jon Shaw replaces Danny Johnson. Substitution, Wrexham. James Gray replaces Connor Jennings. Goal! Wrexham 4, Gateshead 0. Dominic Vose (Wrexham) right footed shot from the right side of the box to the top right corner. Assisted by Connor Jennings. Substitution, Wrexham. James Caton replaces Jon Nolan because of an injury. Substitution, Gateshead. Craig Baxter replaces Gus Mafuta. Foul by Jon Nolan (Wrexham). Substitution, Wrexham. Mark Carrington replaces Rob Evans. Goal! Wrexham 3, Gateshead 0. Dominic Vose (Wrexham) right footed shot from outside the box to the bottom right corner. Goal! Wrexham 2, Gateshead 0. Blaine Hudson (Wrexham) right footed shot from the right side of the six yard box to the centre of the goal. Assisted by Dominic Vose. Attempt missed. Dominic Vose (Wrexham) right footed shot from outside the box is too high. Substitution, Gateshead. Jimmy Phillips replaces Ryan Bowman. Goal! Wrexham 1, Gateshead 0. Rob Evans (Wrexham) header from the left side of the six yard box to the bottom left corner. Assisted by Connor Jennings with a cross. Offside, Wrexham. Wes York tries a through ball, but Wes York is caught offside. Second yellow card to Patrick McLaughlin (Gateshead) for a bad foul. Jon Nolan (Wrexham) wins a free kick. Second Half begins Wrexham 0, Gateshead 0. First Half ends, Wrexham 0, Gateshead 0. Attempt missed. 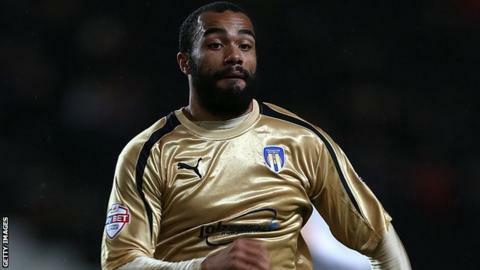 Dominic Vose (Wrexham) right footed shot from outside the box misses to the right from a direct free kick. Foul by Simon Ramsden (Gateshead).